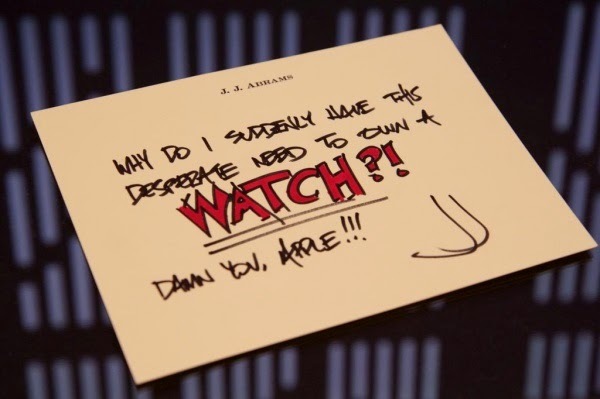 Star Wars Episode VII director J.J., Abrams is a big fan of Apple products and while venting that he wants to own one of their new watches, he also manages to tease the Empire's presence with the photo below. The background is obviously very familiar to Star Wars fans as having the same look as most Imperial ships and buildings, namely the Death Star. What is Abrams hinting at? We will find out when Star Wars Episode VII hits theaters in 2015.